Today was Day #3 of Chocolate and Lavender Theme Week. 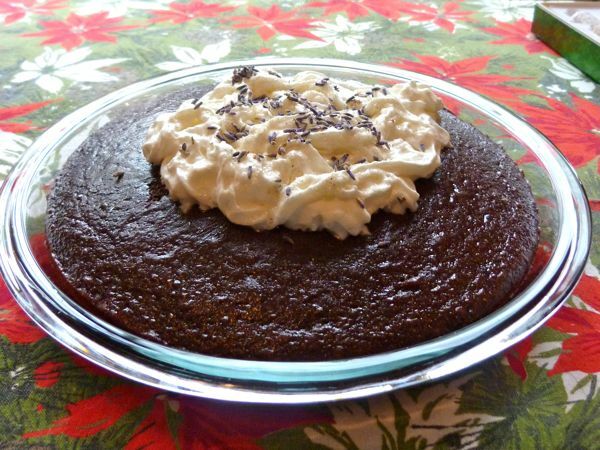 Can you make an organic, gluten free chocolate cake that tastes really great? You can if you start with Wholesome Chow's Organic, Gluten Free Chocolate Lavender Cake and Baking Mix. 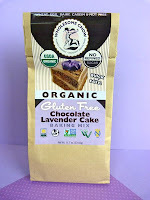 This certified gluten-free mix was wheat, egg, dairy, casein and nut free. 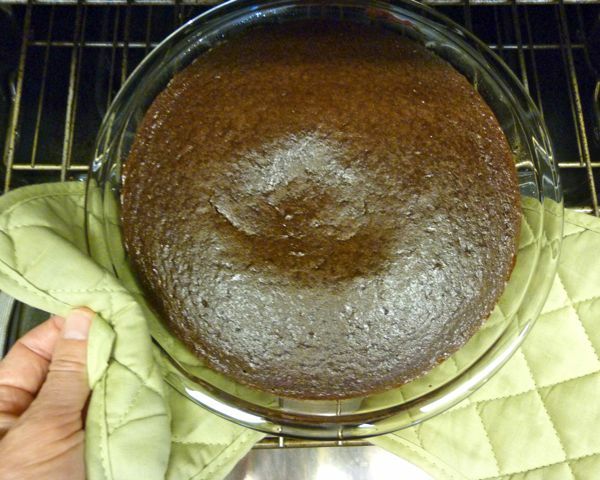 I was a little nervous about making this cake (that I planned to take to a holiday party), given so many "withouts" -- including no eggs, no butter, no refined sugar. This mix required that I add oil and milk (or milk substitute) -- that was it. The results? Fabulous. 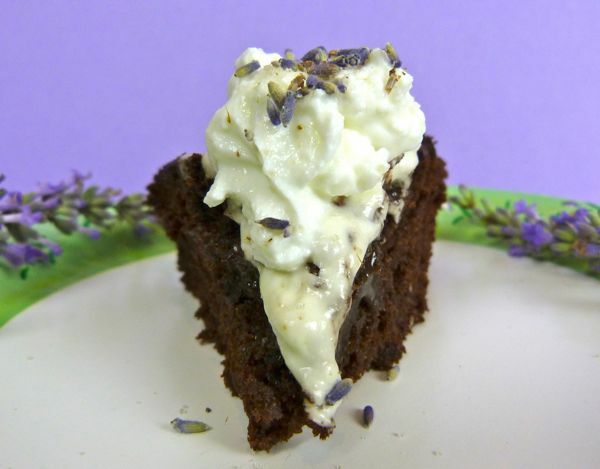 I added an extra tablespoon or so of coconut oil into this mix, and topped this chocolate lavender cake with whipped cream, lavender sugar and dried lavender flower buds -- adding some slightly crunchy textured bits with bright floral bursts. This mix would be great for cupcakes as well. 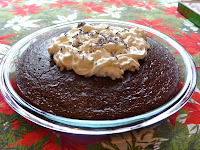 Wholesome Chow (Los Osos, CA) also offers frosting, which I look forward to trying in the future.